The gorgeous gardens offer splendid backdrops that combined with a beautiful golden hour light create an infallible recipe for beautiful wedding photography. For this wedding, as usually, I asked the bride and groom to come out during the reception to photograph a quick sunset photo shoot. Besides the bride and groom traditional and more modern portraits, I always try something different. In this case I wanted to create the bridal portrait that emphasizes not only the beauty of the bride, but also the flowers that she loves so much. As such, using a technique called double exposure, I photographed the bride against the sky then, in camera, I took a picture of several flowers. 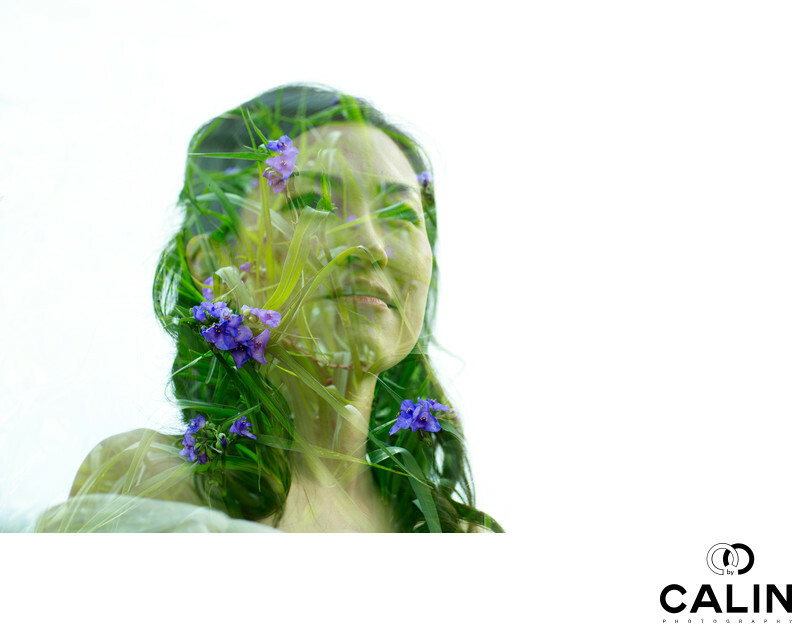 The beauty of using a Canon 5D Mark III is that you can create a double exposure in camera in virtually no time. What makes this image special, is a studio look given by the white backdrop (obtained by overexposing the sky by 1 stop). The contrast between the bride and is the backdrop is maximal in this situation. That is one of the rules of composition that states the subject should be placed where the figure to ground contrast is maximum. While creating this image took very little time, one of the biggest challenged I encountered was to superimpose the flower image in the right spot so that the flowers did not cover the brides on eyes. However, after a few trials I managed to create this beautiful shot. Location: 755 Lawrence Ave E, North York, ON M3C 1P2, Canada.